1. The 1:35 S-70C-1 from AFV Club is as suspected a re-box of the Academy mould, but as well as the RoCAF Blue Hawk decals it includes additional resin parts representing the external fuel tanks and their unique support arms and hangers (very different from the US Blackhawk's ESSS), exhausts & cover panels, IFF blade antennae, aerial wire stanchions and extended VHF antennae. Markings are provided for both the early (blue over white) and present (two blues & white) schemes, with serials to make any of the aircraft in service. The price in Taiwan is about 35 US dollars so it might be worth searching out a local online source such as MPK Hobby World if possible, given that prices in the order of 70 dollars are quoted elsewhere. 2. Anigrand Craftswork have released their 1:72 resin McDonnell XV-1 (XH-35) 'Convertiplane' #AA-2006. This is a relatively simple kit of 20 resin pieces and three items of vac-formed glazing, and as with previous Anigrand kits the moulding looks very clean, and the level of detail is good. Markings are provided for 53-4016, as preserved in the US Army Aviation Museum at Fort Rucker, Alabama. 3. 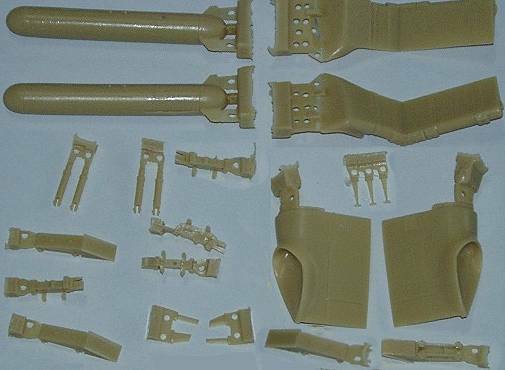 Czechmaster's 1:72 UH-1B exterior detail set #7079 gives you an electronics compartment and door for insertion in the nose, grenade launcher drum and belt for the cabin, replacement engine cover panels, engine compartment, engine, and main gearbox. I expect the quality to be as good as their recent AH-64 sets, which are excellent. 4. Jens Jensen has announced on the HKN Forum that 1:72 and 1:48 scale conversion sets for the Royal Danish Air Force S-61A will be available later this year. 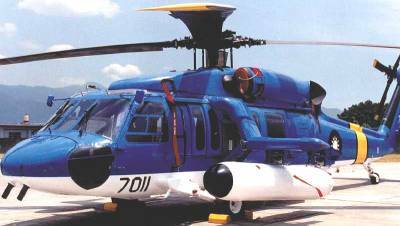 The S-61A is a hybrid between the SH-3 and the S-61N. 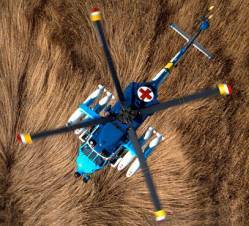 The conversion sets will make it possible to build almost any Danish S-61A at any given time in its career. They will include complete exterior modifications as well as internal modifications and details. The S-61N sponsons will be available separately if there is a demand for them. These sets will be based on a close acquaintance with the 'real thing', not just on published pictures and drawings. For further details and to express an interest, please contact Jens directly. 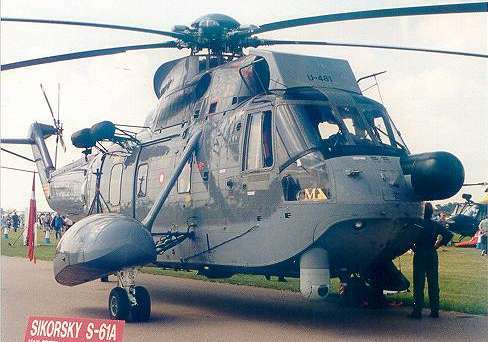 Also, take a look at his website for pictures of the S-61A and other Danish helicopters. 5. Cobra Company have commissioned (from Mike Grant Decals) some decals for the green (and possibly the grey) stenciling on 160th SOAR MH-60 and MH-6 birds in both 1:48 and 1:35 scales. 6. 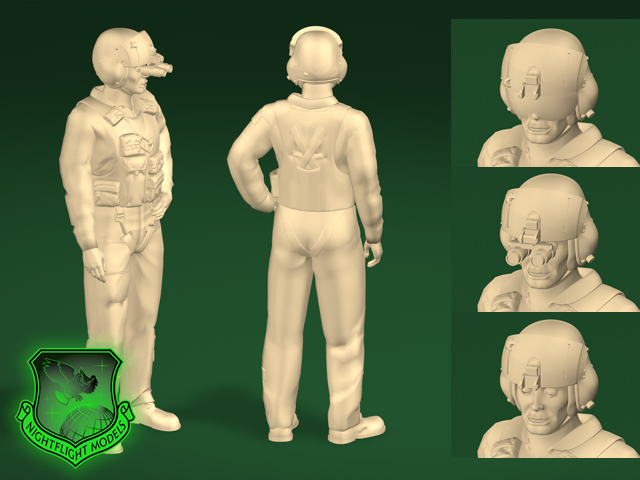 NightFlight have published very impressive computer rendered artwork for some of their forthcoming helicopter crew figures. It seems that the masters will be automatically machined from these designs using a CAD controlled tool. 7. In the Model Alliance 'Premier Range' of decals, the delayed MA -103 Sea Kings sheet is now due from the printers around 15th April. MA-106 and MA-107 for the USS Peleliu (LHA5) USMC Air Wing are with the printers now and will be released mid May. 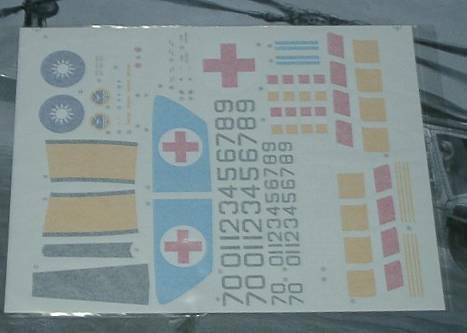 These sheets cover Sea Cobras, UH-1N's, Sea Knights, Sea Stallions (and Harriers), and will be available in 1:48 and 1:72. This is not the same as the forthcoming Gekko Graphics production. MA-109 is to be RAF Chinooks, the artwork is in preparation. Other decals in this series planned for this year will be Pumas, RAF training helicopters, and further USN air wings. The all-new Squirrel HC.1 kit is "nicely progressing" and will come with Royal Navy decals if they can get details in time. (Has any HKN reader got any pictures?). 8. For all those readers who feel the need for a source in the USA, Linden Hill Imports will be stocking Begemot decals (see HKN #161) very soon. 9. JBOT's new CAF 408 Squadron CH-136 Kiowa "Goose" retirement scheme decals are comprehensively reviewed on ARC. 10. Following on from their excellent Seahawk Family volume, Landing Zone Publications Close-Up No.2 will be on the CH-53E AND MH-53E.